Horseplayers know all too well that the game has ups and downs. One bad decision can cost you big time, but worst yet, the outcome of that decision can lead to more bad decisions. An example would be a player who decides to chase his losses but when he or she should just accept that today was losing day. Tomorrow there are plenty of races to possibly play and invest your time and money. Don’t let the outcome of one race (one bad play), one steward’s decision, one bad ride dictate the rest of your day. Be mentally strong by thinking long term instead of in the moment. 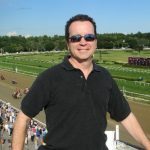 One of the most important aspects of the game for horseplayers is to wager with money that they are comfortable losing. Sure, no one wants to or plans to lose money when they play the horses, but you also don’t want to be risking the rent money, either. Regardless, you should have a separate budget for investing in horse racing. By keeping wagering dollars apart from your personal funds, you can avoid any confusion…and most importantly, any problems. The additional benefit of having a separate fund for wagering is that you can then budget from within that pool of funds. Ideally, you should never risk more than five percent of your dollar wagering budget in any one race. Wagering on horses can oftentimes be a streaky proposition. By budgeting your dollars appropriately and professionally, you can withstand a losing streak. When you have the money situation under control, your chances for success rise dramatically. Every race horse has one particular distance that they excel the best at, and the handicapper is wise to look at every runner in a race to determine if today’s distance meets that preference. Even the champion runners have preferred distances, but what separates many of them is that they can carry their game across a variety of distances and, sometimes, even surfaces. Secretariat, and more recently American Pharoah, are classic examples of horses with this rare trait. Many average horses, e.g. claimers, can perform well at multiple distances but they are always at their best at a short range of distances; for example, 5 1/2 furlongs to 6 furlongs. Constantly be on the lookout for a horse that is switching back to his or her preferred distance after attempting something outside their scope in their previous start or two. Some jockeys will have an excellent rapport with certain horses. You’ll oftentimes see a jockey who wins or finishes in the money (top 3) every time he gets aboard a particular horse; whereas that particular horse has less success when other riders are in the irons. Maybe it’s their “hands,” the way they get the horse to relax, or they just know how to ride the horse given the horse’s respective running style, but we don’t really need to know the reason. Always be on the lookout for a jockey switch to a “winning” rider for this horse. It can result in big improvement off the horse’s recent form. Class drops in horse racing are situations where a horse has been facing tougher competition and now is dropping into “softer” company. The most potent of all class drops is the maiden special weights to maiden claiming move. In maiden special weight races horses can not be “claimed” or purchased for any price. Whereas in the maiden claiming races, horses are entered for a specific claiming price. Every horse in the race is for sale as a pre-determined price. The drop is most powerful when the claiming price of today’s race is $40,000 or less. The lower price, the softer the competition. Handicappers will often see remarkable turn-arounds, such as a horse defeated 15 lengths or more in a maiden special weights who returns to win when dropped into the maiden claiming races where the competition is significantly softer. One caveat that handicappers should be aware of with this handicapping tip is the state-bred maiden special weights drop into open maiden claimers, where horses from any state can run in. In many cases, this is not much class relief for the horse in question and will not result in a huge turnaround.